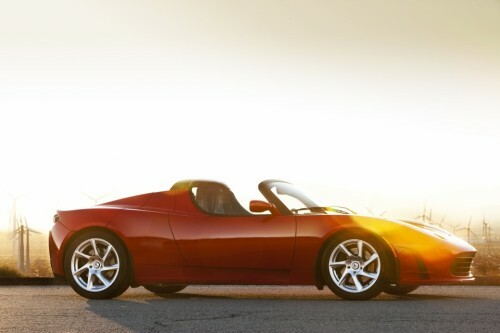 Akio Toyoda received the keys to his own brand new Tesla Roadster 2.5 today in Tokyo, the Toyota CEO is the first owner of a Tesla in Japan. Elon Musk was on hand to give the keys to his Japanese counterpart in a modest ceremony at the brand new Tesla store in Tokyo. Gift giving is a cultural necessity in Japan and a gift exchange is almost as common as a handshake, most business deals in the region involve the exchange of gifts as a mark of respect. It’s a culturally savvy move by Tesla, on the back of Toyota paying $60 million for Tesla’s development work on 2,000 electric RAV4 SUVs due to hit US roads in 2012. “I love the color,” Toyoda said as he climbed into the driver’s seat of the car in the showroom in the fashionable Aoyama district. 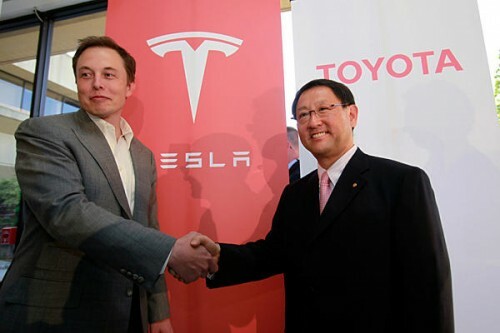 “You know, it happens to be the same color as my helmet,” Toyoda, a licensed racing car driver, told Musk. The Roadsters license plate number is 520, a thoughtful touch as it represents the date of the companies signing their joint venture agreement earlier this year.